Please get involved in this project!! The 'Fukushima Booklet Committee' is recruiting volunteers to assist our efforts to convey Fukushima's message to the world. Volunteer activities can include the following. Please contact us with any ideas or for more information. ⇒ Interested in joining us? We have created a booklet entitled “10 Lessons from Fukushima: Reducing risks and protecting communities from nuclear disasters”. 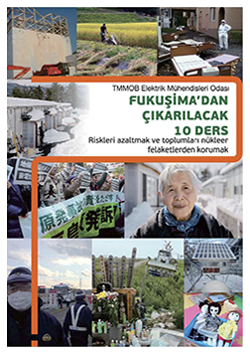 This booklet, which is based upon the experiences and testimony of local people, outlines the reality of the Fukushima nuclear disaster, ten lessons from this which should be shared for considering future response and prevention. This booklet was created through collaboration by many NGOs and researchers working to support those affected by the Fukushima nuclear power plant disaster in various ways. It includes columns regarding examples of what is really happening in Fukushima, and various international legal tools and standards which can be utilised to advocate for the rights of those affected by the disaster.